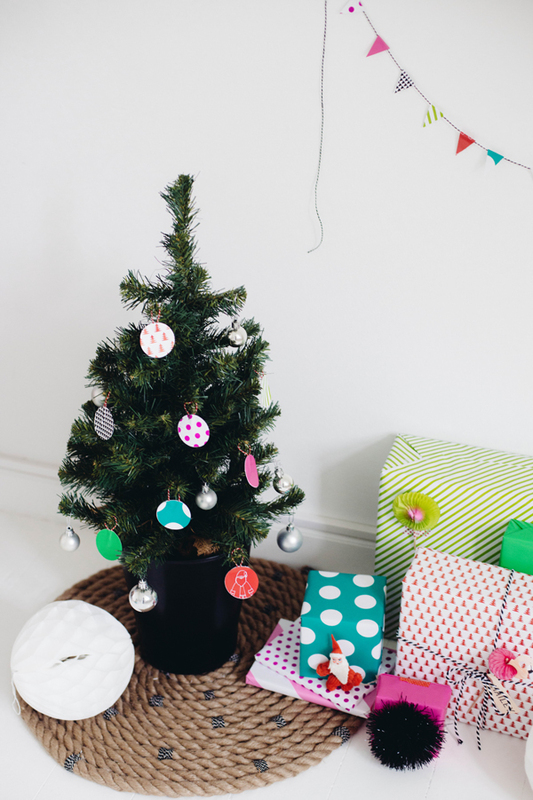 Looking for a way to gussy up the tree this year? 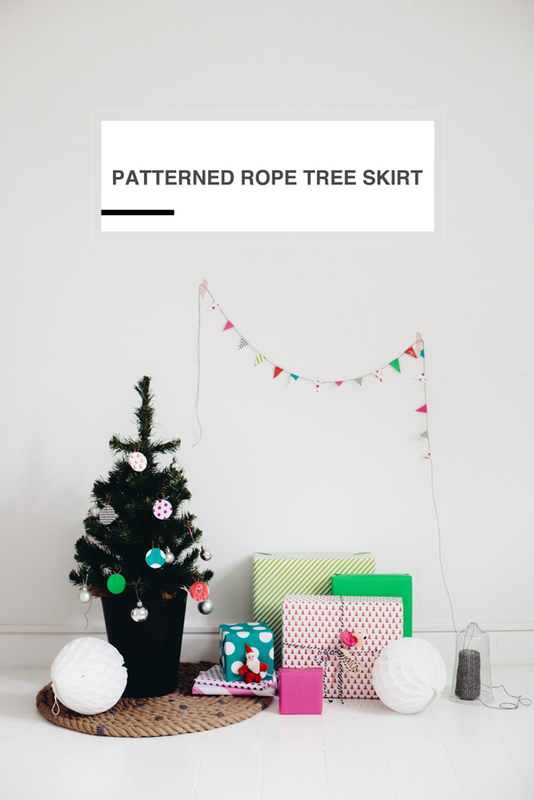 This patterned rope tree skirt is a great idea for crafting a tree with festive, modern flair. It is sturdy, graphic, and will bring a classy punch to the decor. 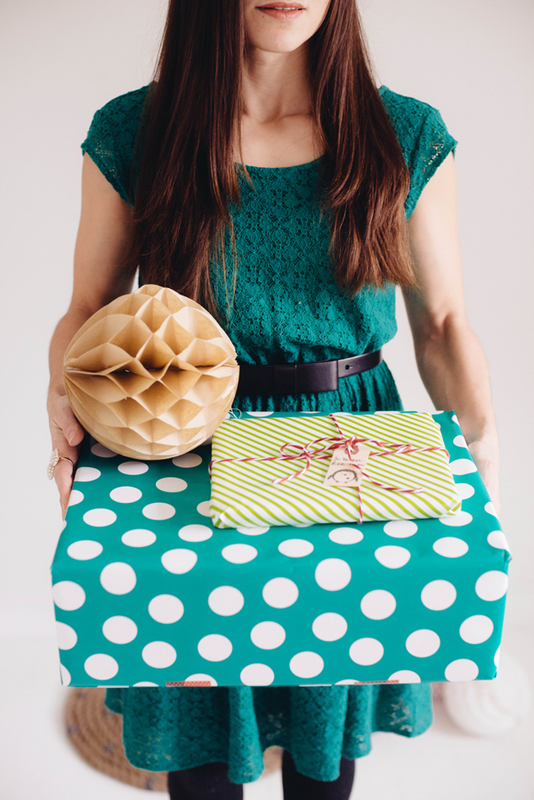 The rope skirt also makes a great hostess gift; make two and package one up for a thoughtful last minute gift you will need to have on hand. The technique itself is ridiculously simple and could easily be made while watching a favorite holiday show. 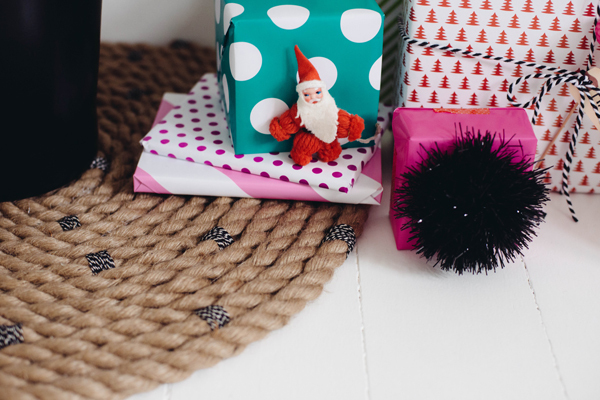 Here’s what you’ll need: A nice thick rope makes (which will make a very sturdy tree skirt), colorful bakers twine, and glue. Start by unwinding a piece of the rope. Wrap baker’s twine intermittently along the rope (we used about 10-20 wraps per each stop), spacing the wraps about every foot. Finish each wrap with a knot. Use a small bit of hot glue along the edge of each rope round to create a surprisingly sturdy bind. 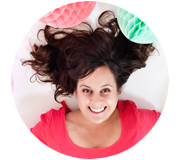 Just keep winding, twisting twine, and gluing! Project and photography by Tina Fussell for A Subtle Revelry.